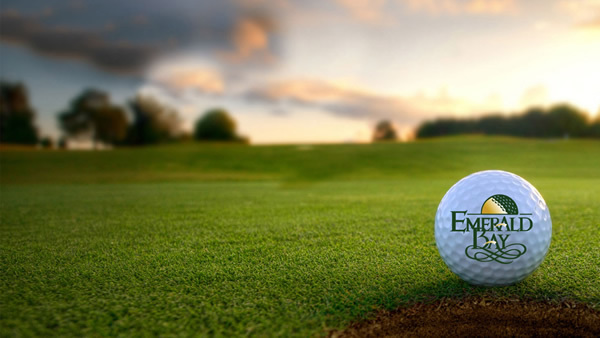 The newly renovated Emerald Bay Golf Club is the perfect backdrop to host your golf tournament or outing whether it is a personal, professional, corporate or charity event. Our proficient staff has hosted hundreds of events and ensures that yours will be professionally run and well-organized. Reasons Emerald Bay Is The Perfect Venue For Your Next Event! NEWLY RENOVATED – Emerald Bay recently completed an extensive, multi-million dollar renovation to include new and enlarged greens and tee boxes; new bunkers, cart paths, water features and bridges; enhanced and additional practice facilities; updated bar and new restaurant menu and a new indoor/outdoor sound system. 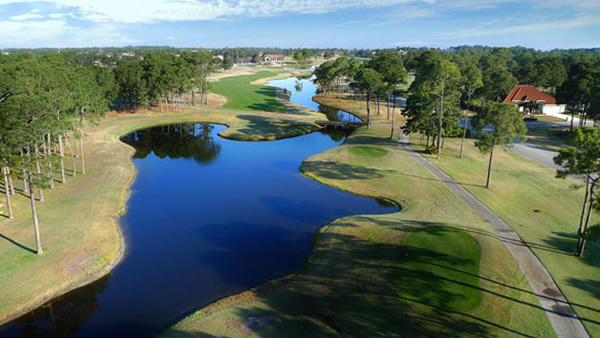 EXCELLENT LAYOUT – Designed by famed architect, Bob, Cupp, Emerald Bay has a distinctive motif; landforms that are reminiscent of older courses and set in the pines with the familiar water hazards common to coastal area. But that’s only the visual part. Its true style is the subtle consistency of different golf shots for players of all levels. CUSTOMER SERVICE – Emerald Bay’s objective is to professionally, promptly and courteously serve the needs of our customers. 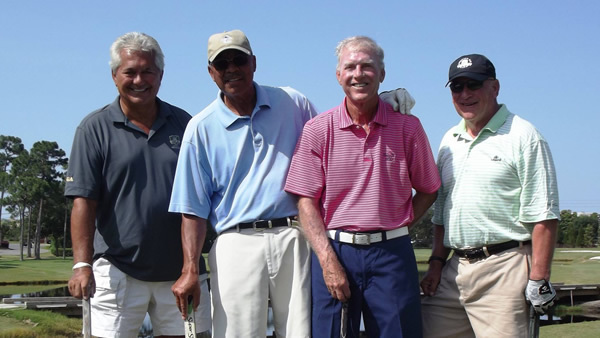 AFFORDABLE, PERSONALIZED GOLF PACKAGES – We offer personalized packages and competitive pricing to meet the needs of your outing/tournament/event. 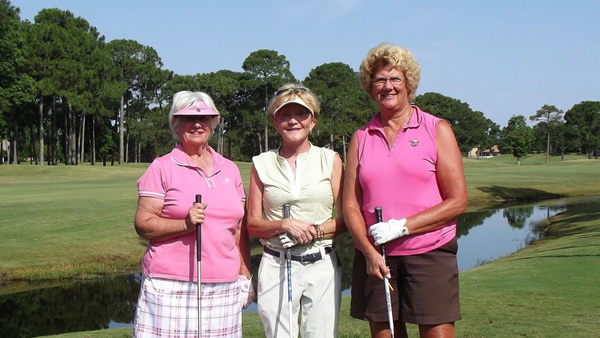 ON-SITE LODGING ACCOMMODATIONS - The Emerald Bay Guesthouse is the perfect location for groups that want the luxuries afforded by the Destin area, the privacy of a private eight bedroom home and the amenities of a superior Destin golf course. PRACTICE FACILITIES – Enhanced and additional practice facilities have recently been completed to meet all aspects of your game. 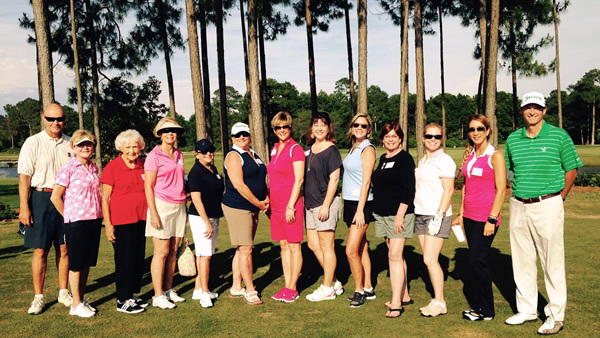 PROFESSIONAL STAFF – Our experienced, professionally trained golf staff will organize and customize your event to ensure that it is a success and stress free!